I never used to like listening to music while I worked. In previous jobs, the flow of my work day was interrupted by familiar tunes blasting through my headphones, and I’d find myself concentrating on the song rather than my work. But these days, I’ve often got my headphones in. I like it. It helps me concentrate, and, if I’m listening to the right kind of music, I find I can get more work done – especially when powering through a tight deadline. Actually, there are times when my headphones are on my head but there’s nothing playing – I’ve started listening to a song but then been so caught up in what I’m doing that I haven’t realised my playlist has finished. It’s almost as though the music kick starts my productivity. However, I realise people sitting around with headphones on can be a pain for managers – you can’t get someone’s attention as easily when they’re listening to music and, if you are a manager, it might make you look less approachable to your employees. I thought it would be interesting to jump into the science behind why listening to music at work can make you feel good – and more productive – if managed properly by the listener. This comes from nothing but my own experience. If I start listening to a playlist filled with my favourite songs, I find myself getting distracted. But if I create a playlist with some songs I recognise but plenty I don’t, I find the music becomes a more motivational background noise, rather than a distraction. Apparently, listening to music you like can release too much dopamine in your brain (i.e. the ‘pleasure’ hormone) which can distract you. I’ve caught myself suddenly busting out the lyrics to random songs and, while it’s no doubt amusing to my colleagues (mostly because I can’t sing), it could also sidetrack everyone’s concentration. Listening to music can be a hugely positive thing if you are excellent at what you do, at least according to one study. A study from the Journal of the American Medical Association found a group of surgeons worked more accurately when they worked while music they enjoyed was playing. The study found music they didn’t like came in second in making them working accurately, while no music at all was the least helpful. Even if what you’re doing is complicated, if you’ve done it millions of times before, listening to music you like could help you do it more efficiently and effectively. Don’t like everyone sitting with their headphones in? Play music from the radio or stereo system in the office (but make sure you’ve got the approval of the majority of your staff first, or this could have the opposite effect on morale). 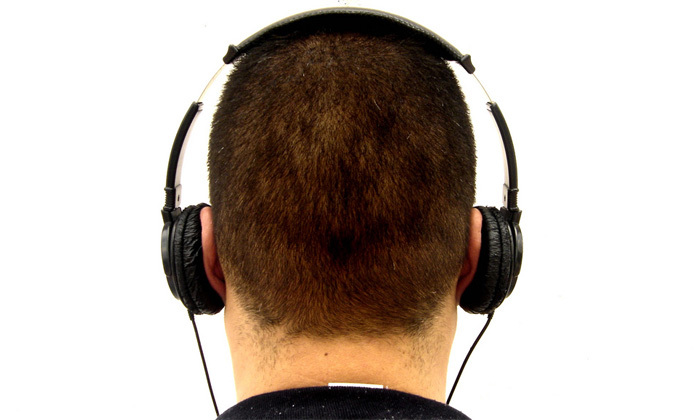 A 2012 study from MusicWorks found listening to music boost productivity and workplace satisfaction. In fact, 77% of SME business owners in the UK agreed it increased morale. Additionally, 65% found music made their staff more productive, while 40% believed it actually helped increase sales. IN certain industries it worked better than others – 81% of retailers believed music boosted morale, as did 84% of owners in the hospitality business. According to 25% of retailers and 33% of hospitality business owners, they would actually lose business without music. If you’re about to learn something new, or deal with information that is complicated and requires intense concentration, turn the music off. A study from the University of Wales showed “silence can be golden” when learning new skills, as it music can interfere with short-term memory performance – regardless of whether you like the music playing or not. Adult students were asked to recall a series of sounds presented in a specific order, and the researchers found their ability to do this accurately decreased when listening to music. So, if you’re doing something really important at work, kill the beat. Just an idea: If you have figured out that music really does boost productivity in your office, then why don’t you use personal music devices like iPods as incentivised rewards tied to employees’ KPIs? iTunes gift cards could work just as well. If you delve into it, you might find music plays more of a part in workplace satisfaction and long-term business benefits than you previously realised. How good is Singapore for women to work in? Singapore must improve its performance on gender wage gap, average weekly working hours, and the number of paid holiday leave days.. Hiring managers speak up about their most memorable job interview horror stories. Can you top these?.. Advertising account executive tops the list, offering an annual median salary of US$ 115,750. Find out which other jobs made the l..